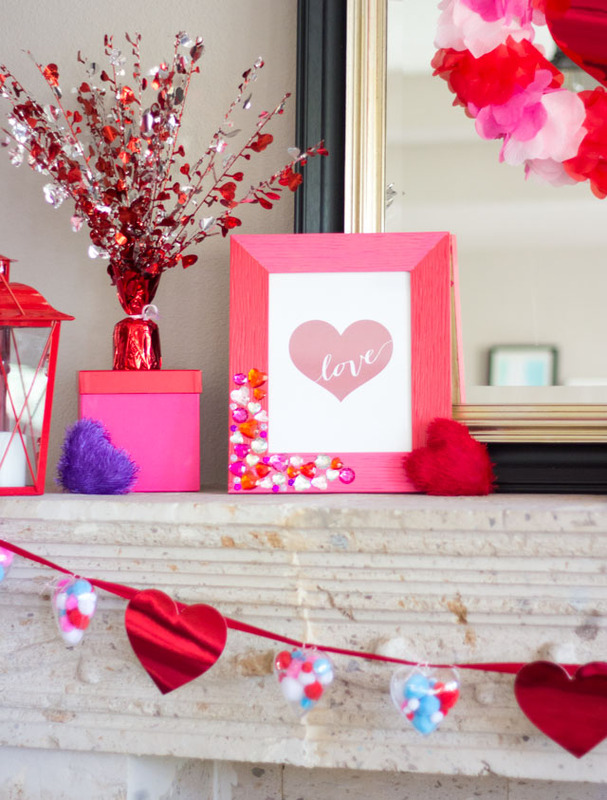 Love is in the air….or at least surrounding our fireplace mantel! 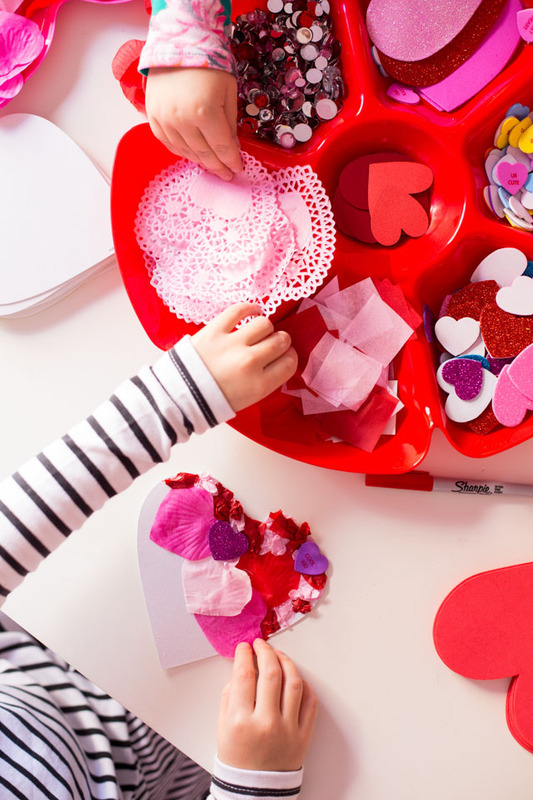 Valentine’s Day is such a fun holiday to craft for and I can never have too many hearts in all the shades of pink and red. 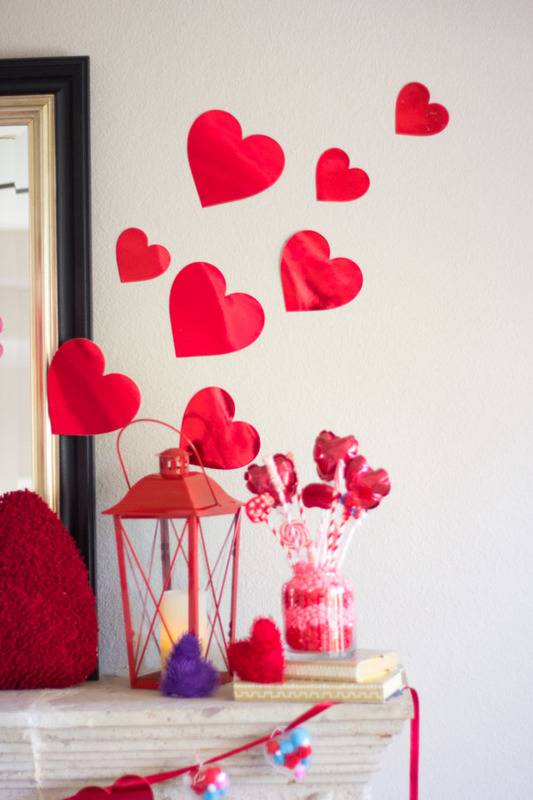 I typically always decorate my pink office for Valentine’s Day, but this is the first year I decorated our living room. 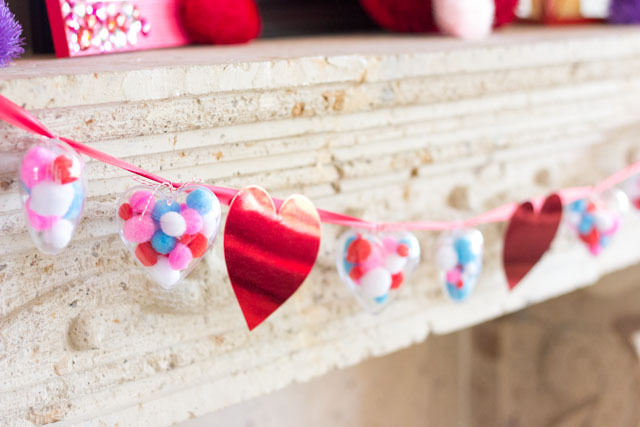 I created this heart-filled mantel for Oriental Trading’s blog using some of their fun Valentine’s Day products. 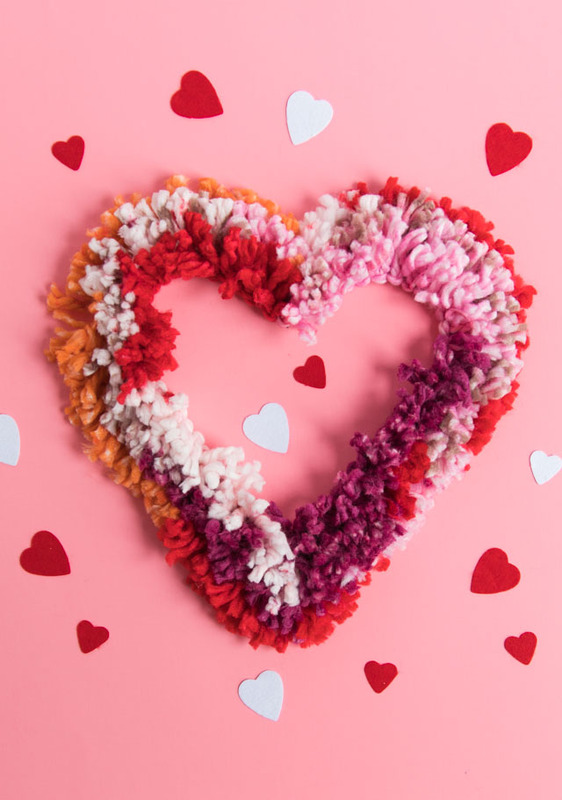 I got crafty and made a DIY rose petal wreath, pom-pom heart garland, and a Valentine’s Day candy bouquet to incorporate into the mantel decor. Check it out! 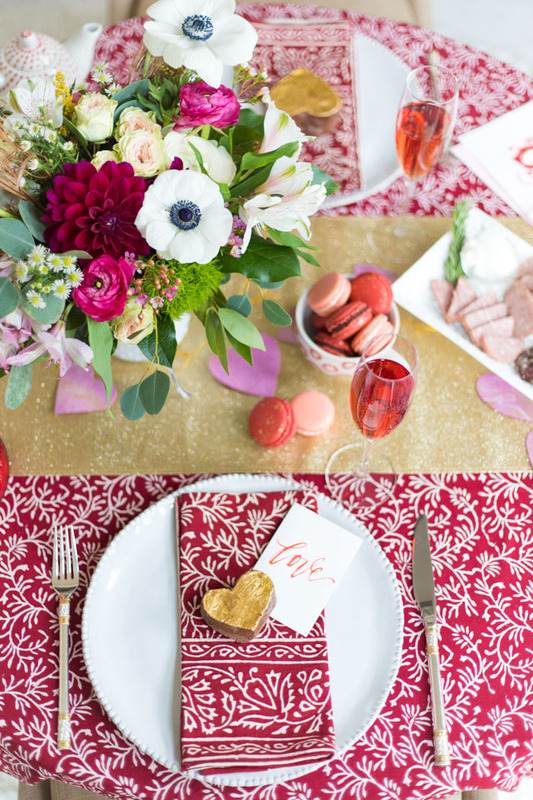 The simple wreath above uses faux rose petals in three colors. 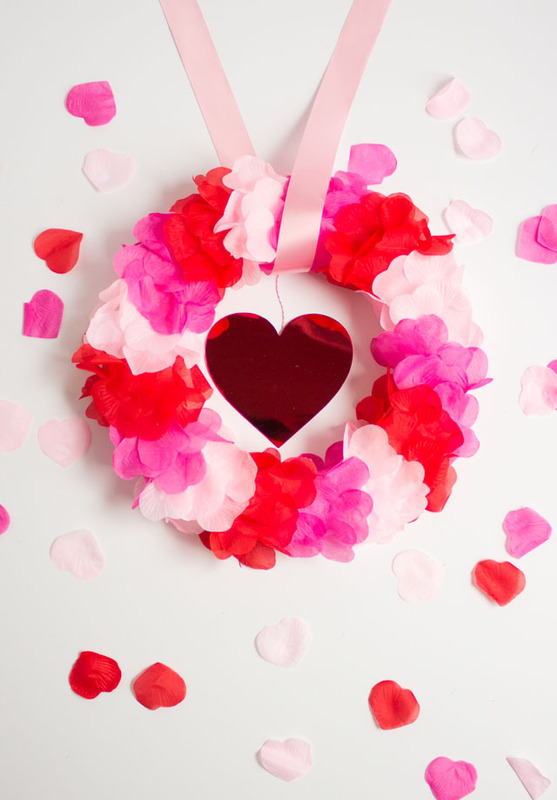 Just glue around a foam wreath form and you have yourself a Valentine’s Day wreath! Find the full tutorial here. 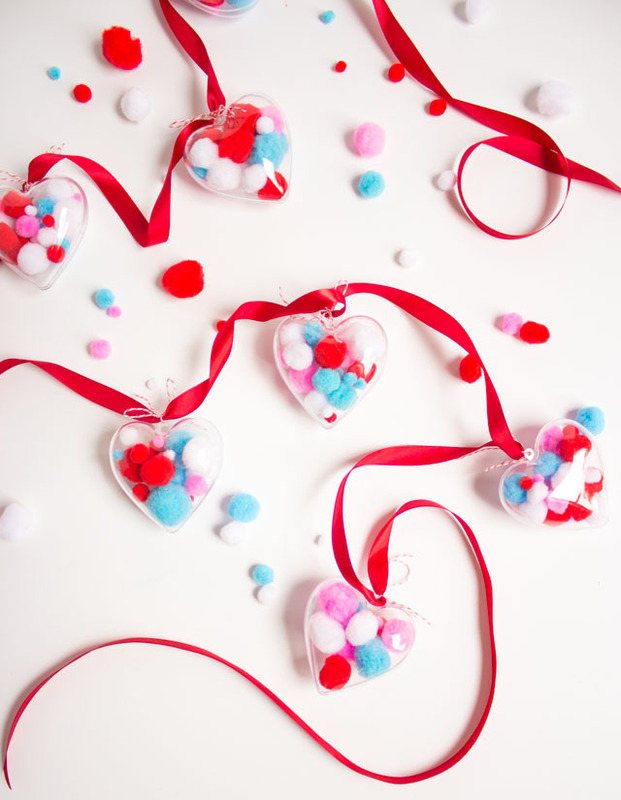 When I saw these clear heart ornaments, I just knew I had to fill them with pom-poms! 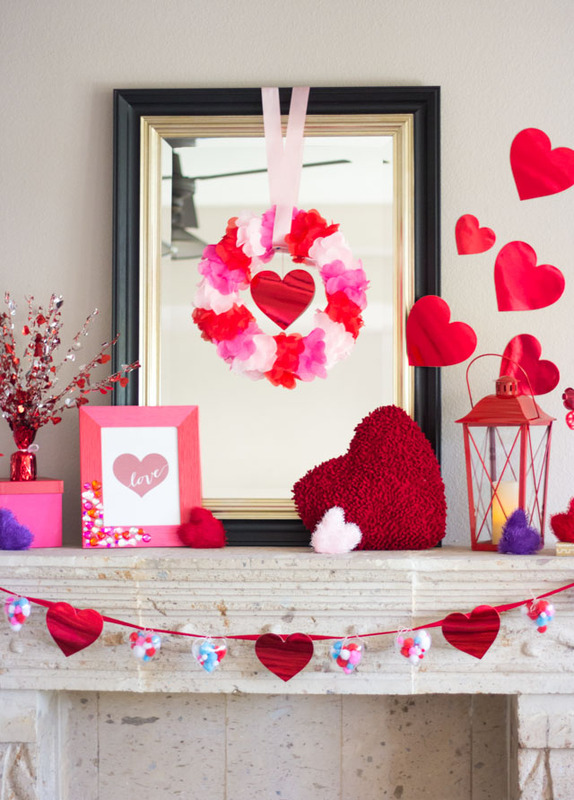 I strung them from a silky red ribbon to create a pom-pom heart garland and hung it on the front of the mantel. I also incorporated this fun jewel covered picture frame I made last year! Think outside the box when it comes to decorating your mantel. 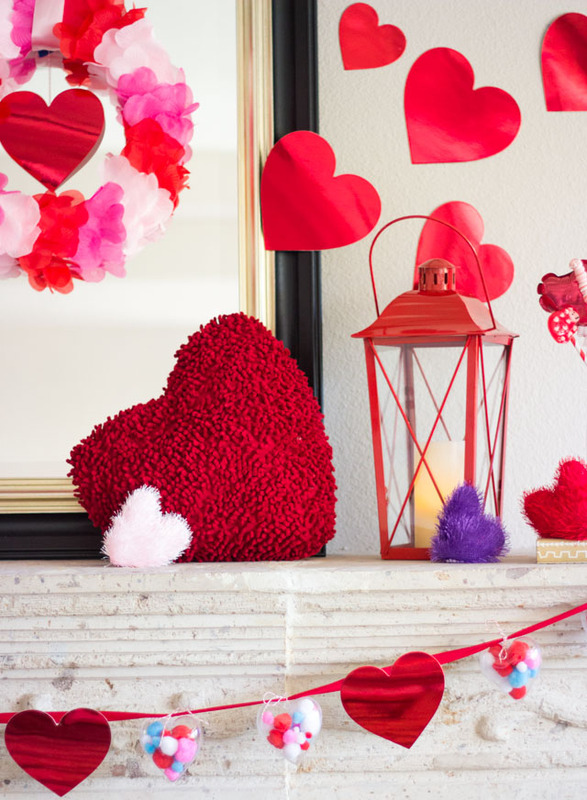 This large heart pillow and several small furry hearts scattered around the top of the mantel add an unexpected dose of soft texture. 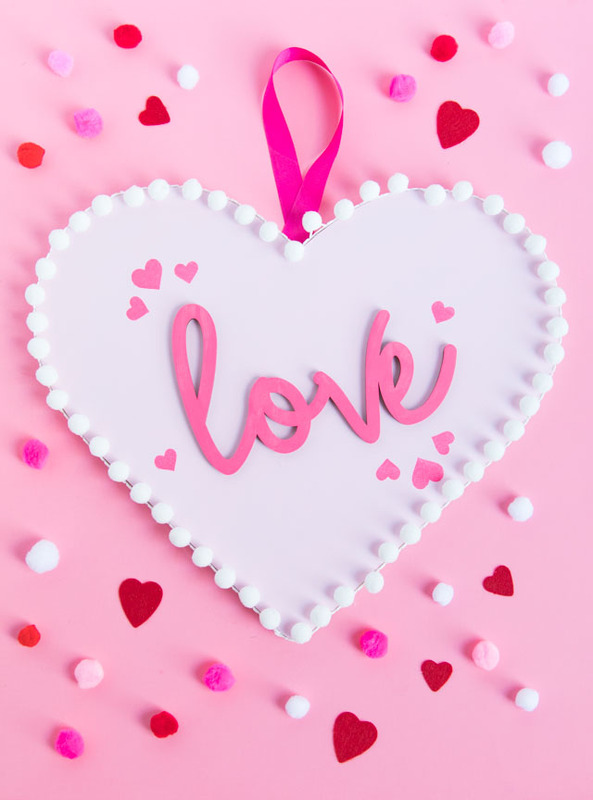 Head to Oriental Trading’s blog for a full list of supplies for the Valentine’s Day Mantel, including step-by-step tutorials for the Rose Petal Wreath, Pom-Pom Heart Garland, and Candy Bouquet!